Today, the most affordable form of new energy is conservation — using what we already generate as efficiently as possible. Electricity works hardest to heat and cool our homes. Here are some simple tips to help reduce your energy use. If you have air conditioning, set your thermostat as high as comfortably possible. A recommended 78 degrees if you are home and warmer if you are away. Reduce your electric water heater to 120 degrees. Use ceiling and other portable room fans to increase your cooling efficiency without having to lower your thermostat. Be sure to turn any fans off when you leave the area as they are made to cool people and not rooms. Have your A/C or heat pump serviced regularly to maintain its best efficiency and capacity. Clear weeds or other items around outdoor units. Clean or replace your cooling unit filters regularly to maximize their efficiency. Block sunlight entering your home using curtains or window shades. Open your windows at night to let in cooler air. Be sure to close any open windows by mid-morning to hold the cool air in. Plan meals that can be made on a grill, in the microwave or prepared in advance to avoid using the oven or stove during the hottest part of the day. Wash laundry and dishes with full loads. Wash laundry loads on cold cycle. When possible, air dry clothes outdoors and cancel the drying cycle on your dishwasher to let items air dry. Sealing air leaks around windows and doors can save energy and money. Check for drafts around windows, doors and seals. Replace worn weather seals and/or caulk gaps where you feel drafts. If you suspect air ducts are leaking, contact an HVAC contractor for duct sealing options. Schedule a service visit for your central heating system to see what maintenance is required to keep it operating efficiently. Ensure your central heating system has a properly fitted and clean air filter installed. If you have a heat pump, avoid switching your sustem to "E Heat" or "Aux Heat" as most heat pumps can provide heat to your home even as temperatures dip into the low teens. Close or plug your foundation vents. This will keep your home warmer and help protect against frozen water pipes. Check the weather stripping on exterior doors and windows. Adjust or replace if worn or missing. Cover drafty windows and permanent wall-unit air conditioners by using a heavy-duty clear plastic. The plastic should be sealed tightly to reduce cold air entering your home. As colder temperatures arrive, close drapes in the evening and on overcast days to help retain heat within your home. Ensure your drapes do not obstruct heat registers. Use ceiling fans to gently direct rising heat downward. This makes the room feel warmer without turning up the heat. When you are home and awake, set your thermostat as low as comfortably possible. When you are asleep or out of your home, turn the thermostat down even further. A programmable thermostat can help you adjust your heat to match your schedule. If you have a heat pump, it is recommended to not drop your thermostat lower than 4°F below your normal heat setting. Lower the heat setting on your water heater. The U.S. Department of Energy estimates that 18 percent of a household's energy consumption is from water warming. Keeping your temperature at 120°F will help you see small changes in your energy bill. Replace incandescent lighting with energy-efficient LED lights. Use timers and motion sensors to reduce the operating hours of interior and exterior lights left on for security purposes. How much energy do my electrical appliances and equipment use? This calculator estimates the cost to run your appliances each month. We hope it offers insight into where you can save. Give it a go! Click on the appliances used in your home. Scroll down below the list and type in the hours in the box that pops up to calculate your costs. Module content dynamically display here. 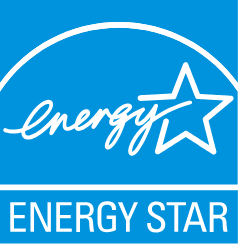 We encourage our customers to invest in energy-efficient appliances that help make energy conservation easier on the pocketbook and also conserve our power generation resources. If you have questions about saving energy, including free home-energy audits, contact Energy Services. Please enter phone number like (123-456-7890).